aHa! offers an alternative to the conventional boring conference centre. 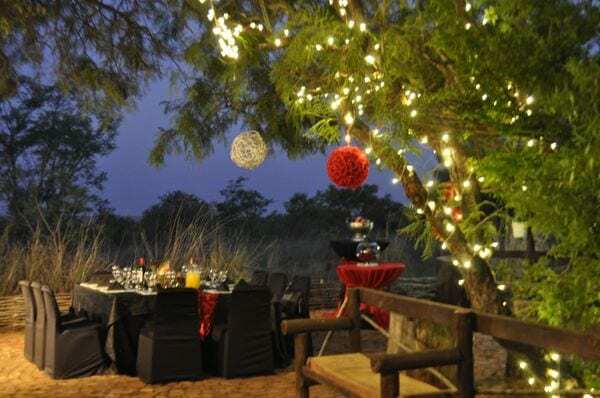 It is nestled in the bushveld and the surrounding deck overlooks spectacular views across the valley. The centre and the environment have been designed to assist in helping delegates think differently, to get them to engage easily with one another, and to create and foster an environment for collaboration. The team also assists you in designing the best possible event, thanks to our onsite team building specialists who handle indoor and outdoor events with debriefing. There are onsite venues for year-end functions as well as 12 rooms, plus an additional 12, a further 600m from the centre. Additionally, there are specialised programmes run such as ‘Popcorn Thinking’ to assist your team think faster, smarter and differently, and to help develop innovative teams. Our venue is unique, vibrant and anything but boring. It is extraordinary so that your thinking can be extraordinary, too. The unique conference venue is a key driver in fostering innovation in South Africa. It’s not just a venue, but a platform for the collaboration of innovation and creative thought. South Africa is a forward moving country that is rich in cultural diversity, and our style of thinking should also be rich. On site catering services are offered. There are 12 quaint en-suite rooms each with its own private stoep overlooking the bushveld. The chalets are set in the indigenous bush. Each of the 12 separate, double rooms comprise an en-suite bathroom, dressing room and separate toilet. The surroundings and sounds of nature lend itself to a peaceful and relaxed atmosphere. A delicious English breakfast is served in the dining area, at Café Mozart. There is also a communal swimming pool, braai facilities, kid’s jungle gym and boma area. For recreational activities, a BMX track, mountain bike trail and walking trails are available. Undercover shade cloth parking is provided with 24-hour security to ensure a safe stay for guests. 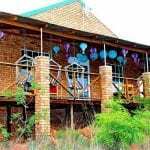 Zithabisen, nestled in the bushveld and embraced by thorn trees are the 2 small thinking bomas for breakaway sessions, teamwork, ideation sessions and for small group discussions. The bomas can be used as are, or made up according to a theme, such as Chilla Mexicana, Weskus, Space Tech, Mad Hatter, Wonderland, and Magical Moroccan. The Boma is ideal for team get-togethers after a hard day’s work and is the ideal space for sunset drinks, canapés and cocktails. The garden area in front of the Boma can also be used for cocktails and picnics. Formal white lounges can be set up on the lawn area. Plated business dinners can be served or informal braai and potjies can be done around the fires. The space is also ideal for potjiekos competitions for teambuilding. 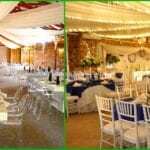 The beautiful Casa-Lee Provence Reception Venue is ideal for year-end functions, conferences, launches, banquets, gala evenings, exhibitions, fashion shows, presentations and workshops. Belle Vue, adjacent to the Casa-Lee Reception Hall, is ideal for business meetings, corporate meetings, exco meetings, workshops, presentations, networking sessions, intimate year-end functions, smaller functions, award evenings and for more formal meetings. There is a screen, data projector, flipchart, and various colour schemes available according to your theme or company colours for tablecloths etc. There are also modern white lounges available for use outside on the deck or in the surrounding gardens. 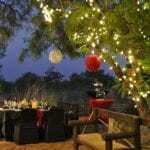 There is also a fireplace and a surrounding deck area overlooking the bushveld and gardens. Take your team’s thinking to the next level of creativity by brainstorming in the hammocks on the Thinking Deck overlooking the Fields of Dreams. 6 Hammocks are available for thinking sessions plus café style chairs, tables and bar chairs, for the Deck, for out-of-the-box thinking. There is even a punching bag to punch out the ideas! The Field of Dreams includes a walking trail with loads of space under beautiful trees or in the bushveld; swimming pool; and a jungle gym for unconventional thinking! More developments planned …watch this space! The Kaleidoscope Room was designed as a ‘not bored’ boardroom, and can double up as a Mental Floss Station for ideation sessions, strategic workshops, corporate meetings, and work sessions. It can also be used as an additional breakaway room. It has 4 workstations equipped with a PC, TV monitor and audio-visual equipment. There is a unique whiteboard wall, with additional white boards on the other walls. A facilitator’s toolkit, thinking games, and thinking hats are also available. The Thinkubator is specially designed for workshops, meetings, presentations and training sessions. It is perfect for strategic sessions and business planning meetings. It was designed for flexibility and can be set up according to your specific needs. It has a PA system, sound system, data projector, screen, full length blinds, and a range of comfortable seating to choose from. 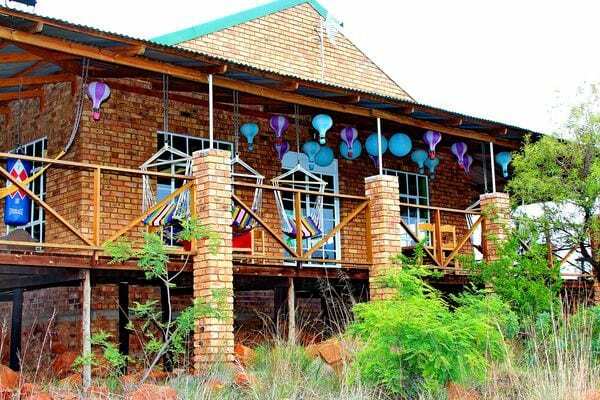 The space opens up onto a wooden deck, which overlooks the bushveld and the magnificent rolling hills of the eastern Magaliesburg mountain range. The Mozart Café is ideal for the World Café facilitation technique. This is also a space where delegates can relax, have fun with the jukebox, snooker table and games, and fuel up with brain juice at the Café Bar. It is also ideal for collaboration sessions.